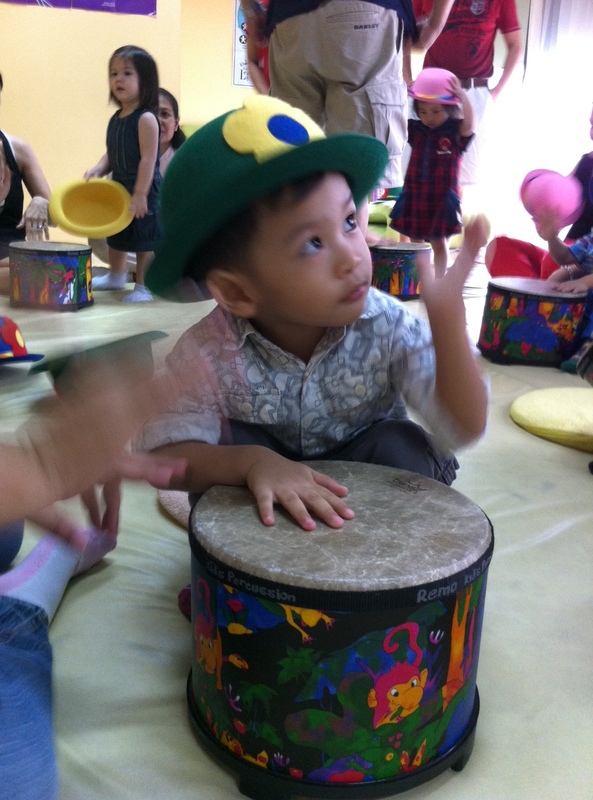 We enrolled Rio for two semesters at Kindermusik with Teacher Jeannie when he was almost 2 years old. We were worried that Rio's delayed speech was caused by his lack of socialization with other kids his age. After a few sessions, we have observed that his constant exposure to music was more crucial in developing his language skills. Quality interactions with his classmates were limited because parent participation and bonding with their children during classes were prioritized. The movements and music we practiced every week helped him to start communicating. Music helped him identify the sounds of the hammer ("The carpenter's hammer says RAP,RAP, RAP"), different body parts ( "head and shoulders, knees and toes") , the parts of the house, and many more. Dancing in class developed his gross motor skills. Jumping, hopping and swaying became natural movements for our very active toddler. Just recently, we started our art painting sessions at home.Rio learned about colors through playing with colorful wooden blocks. 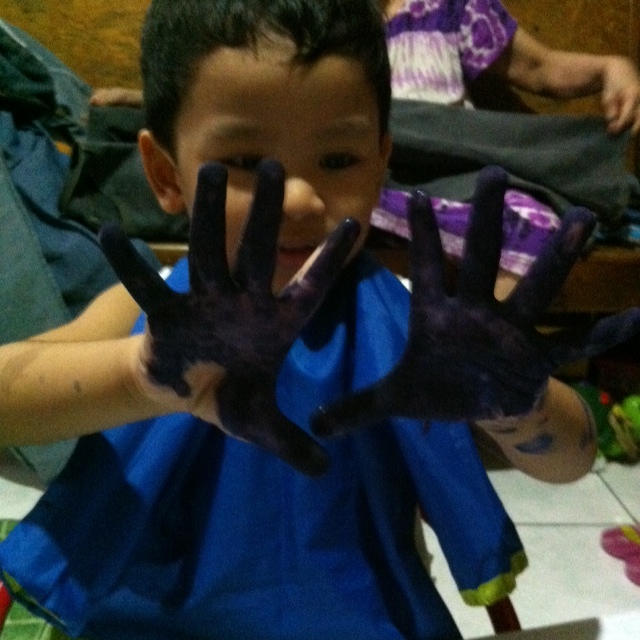 We tried color mixing ( red and blue makes violet) and we were so happy to see the results and our son's precious reaction to the process. Art doesn't only enhance creativity but it can also serve as a tool in understanding subjects like science and math. Children learn better and retain concepts longer if they do an art activity to reinforce that learning. ( from Art Influences Learning by Anna Reyner). There are some parents who find it hard to introduce science concepts to their children especially during preschool years. Just like Math, some parents delegate the seemingly daunting task of teaching science to professional educators who are more capable to explain its concepts. Teaching our kids the letters of the alphabet and counting numbers come more naturally to us parents than providing conditions for them to explore the world, ask questions, investigate and solve problems. This often delayed training on scientific inquiry is one of the foundations in raising our children as world explorers, answer and solution seekers. Science when combined with the arts can deliver the best results in terms of learning and experiences. 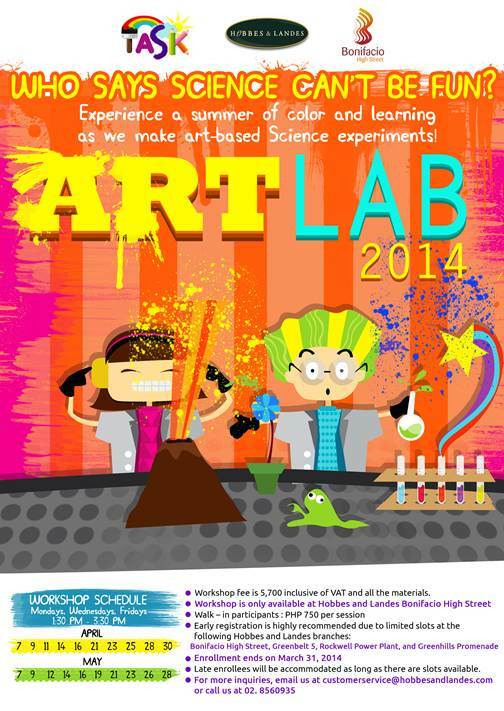 ART LAB 2014 is the ultimate summer activity that can provide early training and build our children's interest in science and arts. 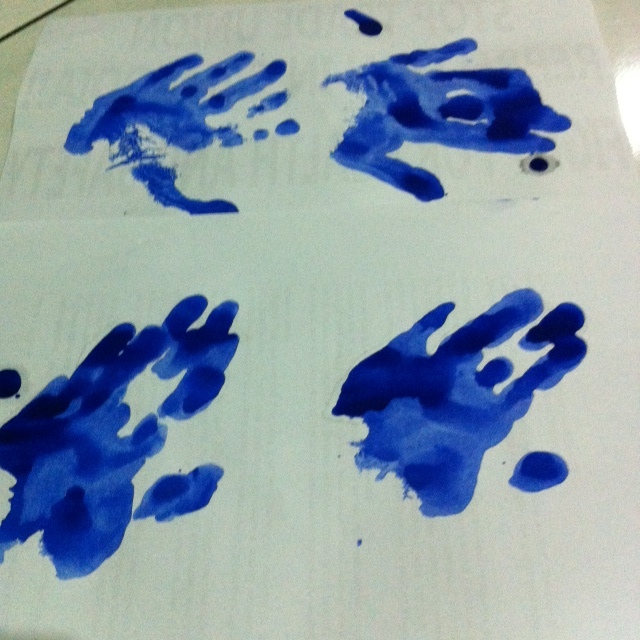 Hobbes and Landes' Art Lab will definitely make science more fun and enjoyable through their art-based experiments. Children aged 4-12 years old will perform science experiments using art techniques and materials. 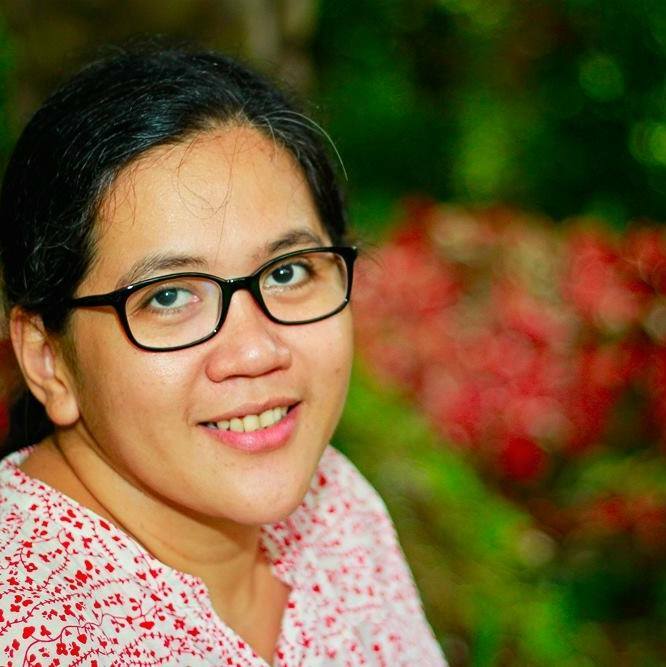 Two workshop moderators, who are all graduates from the University of the Philippines Diliman will guide the participants in their art sessions. Workshop will be held every Monday, Wednesday and Friday, 1:30 p.m. - 3:30 p.m. from April 7 to May 28. Classes will only accomodate a maximum of 12 students to ensure that each child gets proper guidance and attention. You can sign up and register in any of these Hobbes and Landes branches ( Bonifacio High Street, Greenbelt 5, Rockwell Power Plant and Greenhills Promenade. Workshop fee is at P5,700 inclusive of all the materials and VAT. For more workshop details, you can contact the organizers through this email address : customerservice@hobbesandlandes.com or call them at 02. 8560935.